This post was written by Adrian Vaagenes, intern in the National Museum of American History Library. The 4th of July is upon us, and for many of us this means, to borrow a quote from The Simpsons, it’s “time to celebrate the independence of our nation by blowing up a small part of it”. 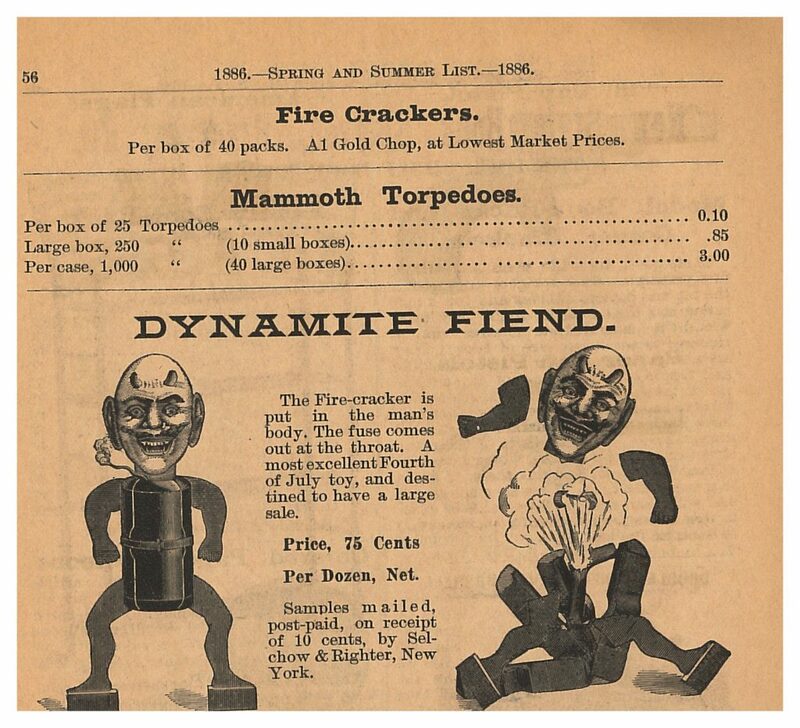 Just as we enjoy lighting roman candles, sparklers, cherry bombs, and m-80’s, these pieces of trade literature in our collection show that our forefathers and foremothers of yesteryear were just as delighted by pyromancy and destruction. 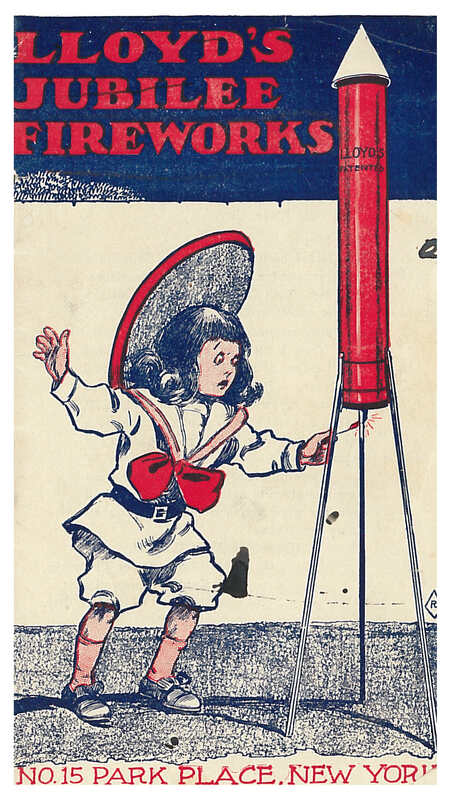 This Lloyd’s fireworks catalog from 1906 provides some excellent options for the girl or boy looking to purchase a large rocket or bundle of fire-crackers, and celebrate the 4th with bangs and bombardment. Buster Brown suit unfortunately not included. 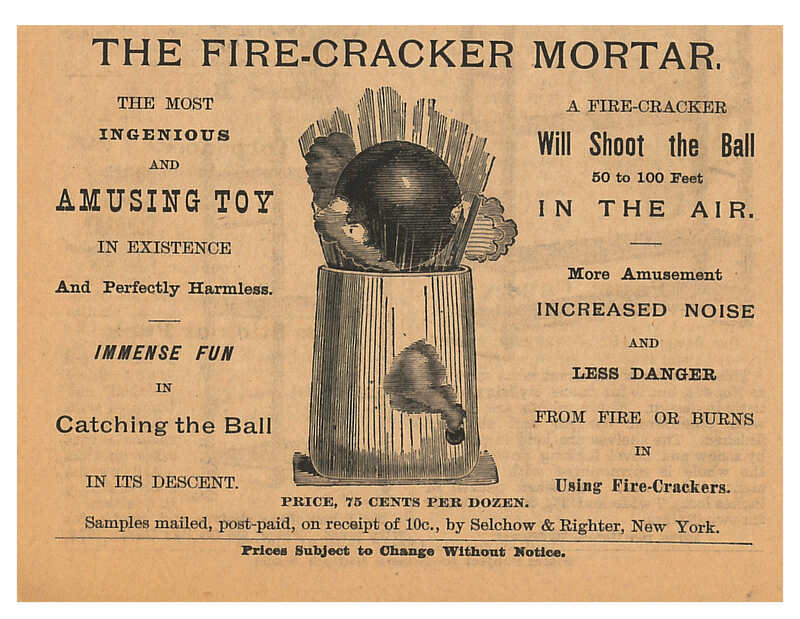 With names like “prismatic torrent,” fiery waggler,” “electric star,” and “prize asteroid,” who wouldn’t want to put on their finest petticoats and bowler hats as the case may be, and inadvertently terrorize the local dog population in an explosive bout of national pride and fervor. For good or ill, one explosive tradition that’s since gone by the wayside is the “fire-cracker mortar.” Selchow & Righter may have been somewhat less than truthful when they described the “The most ingenious and amusing toy in existence,” as “perfectly harmless.” For even though it sported “less danger from fire or burns,” it was still had, you know, a projectile falling from 100 feet in the air. 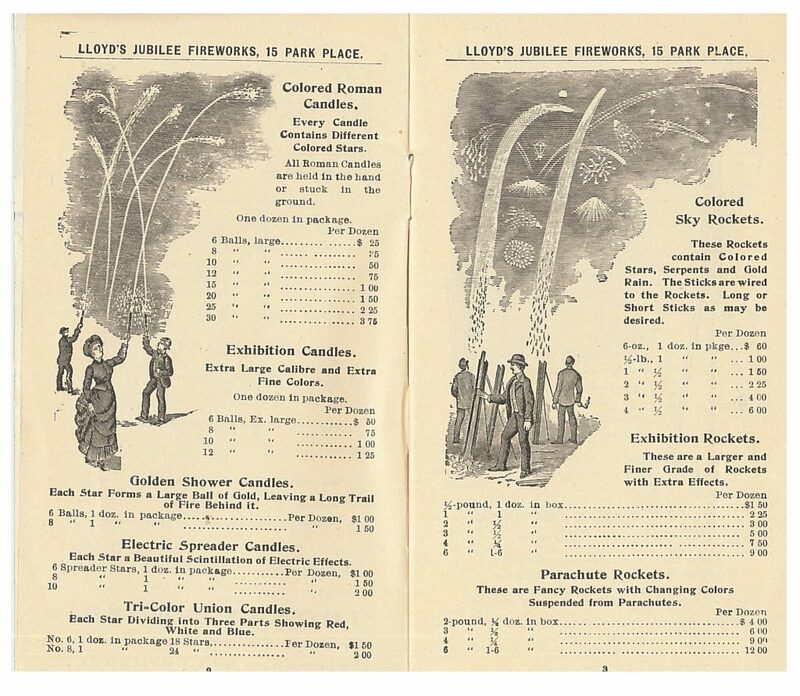 If you’re interested in seeing these catalogs for yourself, they are part of the National Museum of American History Library’s Trade Literature Collection. The collection contains more than 400,000 catalogs, technical manuals, advertising brochures, price lists, company histories and related materials representing nearly 30,000 companies and often includes amusing gems such as these.